Historic farm buildings are one of the key elements in characterising, understanding and defining the countryside, and their history and evolution provide crucial information and evidence for understanding the archaeology of agariculture and the rural landscape. They also form a significant economic resource in two principal ways. First by defining the character of the rual landscape and providing regional distinctiveness and historic depth they provide a backdrop for the regeneration of rural areas. Second, they are adaptable and capable of re-use, and can provide the infrastructure for new economic uses, including tourism and local industry. 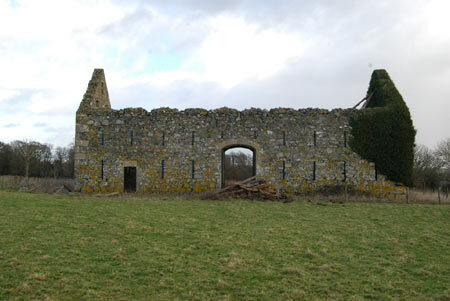 English Heritage have recently undertaken a number of characterisation and assessment surveys of historic farm buildings, and they concluded that in order for future conservation and planning policy to be effective better information on the historic building stock was required (Historic Farm Buildings: Extending the evidence base, English Heritage 2007). Similarly within Wales it is essential that the resource is understood so that appropriate advice can be given on retention, management, re-use and conversion. This requries a clear understanding of the historical development of farm buildings; a sound knowledge of their survival based on up-to-date evidence; and an understanding of their regional distinctiveness and character. The aim of this scoping project was to identify an appropriate method of achieving this level of understanding. The project was broken down into three principal phases: information gathering; development of a methodology; production of a report. The project identified the requirement for a characterisation report. This would aim to describe the nature of the resource; assess the significance of the resource; and provide guidelines for assessing the significance of individual farmsteads and farm buildings. The proposed methodology would use a combination of Listed Building descriptions and targeted fieldwork to record the existing resource using the above criteria. One difficulty established was the lack of complete coverage of historic landscape character areas. However Landmap areas were examined and thought to be moderately successful in use, though some adjustment proved necessary in practice.